Say what you will about Damon Dash. Note his impetuousness, the temper tantrums, the abuse of partners and underlings, and his extravagance and overspending all you want. None of it can subtract from the reality that it was Dash who envisioned the Roc-A-Fella empire. The Roc may have traded on Jay-Z’s image, but it was Dash who did the legwork. 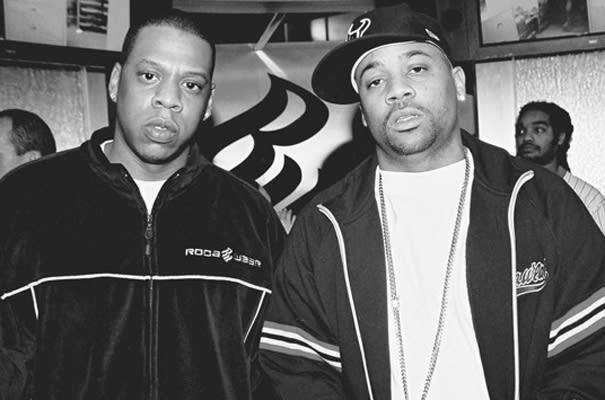 Dash often complained that Jay-Z didn’t seem interested in the business side of things, especially when it came to the clothing company, Rocawear. So no one was more surprised than Dash when Jay-Z summarily wrested control of Roc-A-Fella and Rocawear from him. Dash pocketed a third of the $10 million Roc-A-Fella sale, but Jay-Z retained control of the brand by assuming the presidency of the Roc’s new owner, Def Jam. And Jay’s alliance with Rocawear partners Norton Cher and Alex Bize forced Dash to take a reported $30 million buyout (which in reality was closer to $12 million). Within a few years, Jay-Z and his partners turned around and sold Rocawear for $219 million. The house that Dame built ultimately became Jay-Z ’s retirement plan. Jay-Z did indeed take to his new moguldom with relish, channelling a calmer version of Dash in accumulating a number of assets, from a piece of the New Jersey Nets basketball team to a nightclub franchise to a cosmetics line to a landmark joint venture agreement with Live Nation reported to be worth $150 million. Jay-Z is now regarded as the consummate hip-hop businessman and one-man brand. But it was Jay’s deft work with the metaphorical knife that made it all possible, as he severed the ties with his old partner while retaining the assets of their doomed partnership.